Most of the discussion was about making everyone aware of what’s going on around them. Majority of the slides contained statistics on occupational accidents, injuries and fatalities. These were further divided into the type of industries. Of course, the manufacturing industry was the obvious answer for the highest number of cases. The only sad thing about the data presented was the fact that it was not really complete because not all companies comply in terms of submitting reports to DOLE (Department of Labor and Employment). Just to make it clear, an unsafe/unhealthy act is any human action that violates a commonly accepted safe work procedure or standard operating procedure. On the other hand, an unsafe/unhealthy condition is characterized by a physical or chemical property of a material, machine or the environment which could possibly cause injury to people, damage the property, disrupt operations in a plant or office or other forms of losses. To further clarify, they gave a workshop on these two concepts and we were scrutinized by Dr. Lorifel Go, our speaker, and other groups after reporting. Examples that are applicable in our setting is horseplay during working hours and improper waste disposal, the former as an example of an unsafe act and the latter, an unhealthy condition. It so happens that one of the offenses in our employee handbook pertains to this particular topic which means that we do need to practice good housekeeping to prevent the most common accidents in the workplace. With all of that mentioned, I hope employees should start looking into their lockers to do the 5S. 5S is a systemized approach to organizing the workplace, keeping rules and standards, and maintaining discipline. The 5S stands for sort, systematize, sweep, standardize and self-discipline. 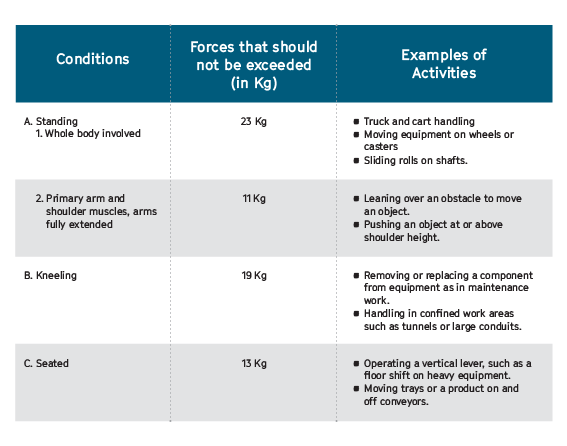 Basically in this topic, we were taught the proper technique of lifting, placing, storing or moving of materials through the use of one’s physical strength or appropriate handling equipment. This topic reiterates seminars given by the Bureau of Fire during Fire Drills. 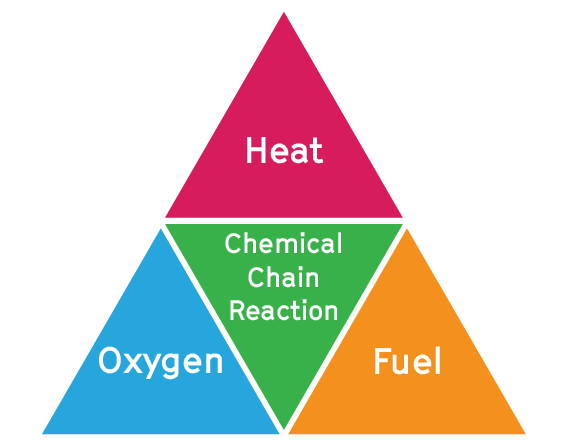 They taught us about the basic components of fire which can be described by the diagram below. To further implement fire safety in the workplace, here is a list of the classifications of fire and how to extinguish them. 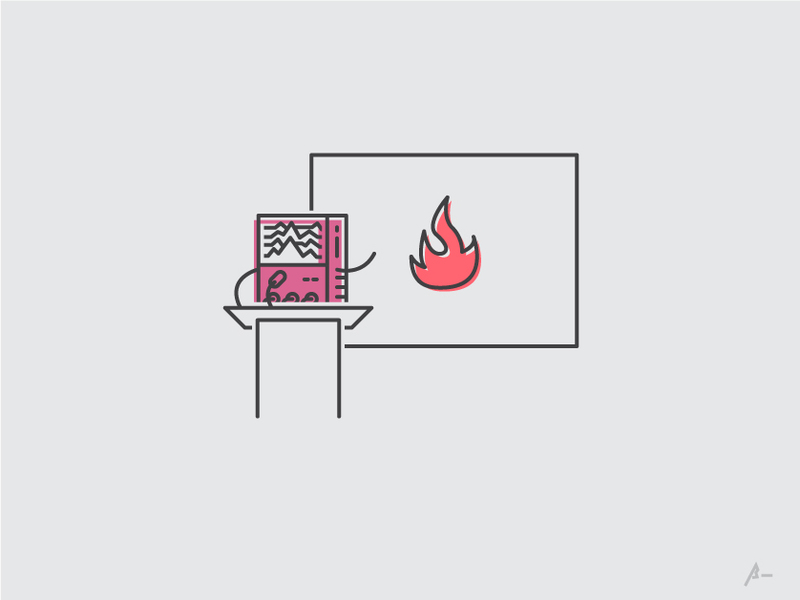 This topic is definitely applicable to the company since the tools that we use are computers. So, first of all we should know the common causes for electrical injuries. This was where it got interesting. Everybody started to listen intently to the speaker because the discussion was highly significant to everyone. If you recall your payslips, you’ll notice that the bottom portion has a portion called “SSS EC Contribution”. Honestly speaking, even I was not aware that it had something beneficial to provide the employee. It turns out that every employee who continues to contribute to SSS EC has benefits when a workplace injury, accident or fatality occurs. That 10 to 30 peso contribution per month can be of additional help to the employee when they need to take a leave due to an injury. The Employee’s Compensation Program (ECC) provides 200 pesos per day to employees who had a workplace accident. This is different from the SSS Sickness benefit, but filing for ECC should also be done in SSS. All employees can avail both if and only if the sickness or injury is work-related. If sickness is not work-related then the employee can only avail the SSS Sickness benefit. Especially important for manufacturing companies, this discussion revolved around safety measures when dealing with hazardous mechanical motions and actions, installing machine guards, and implementing the concept of the Lock-out/Tag-out System. 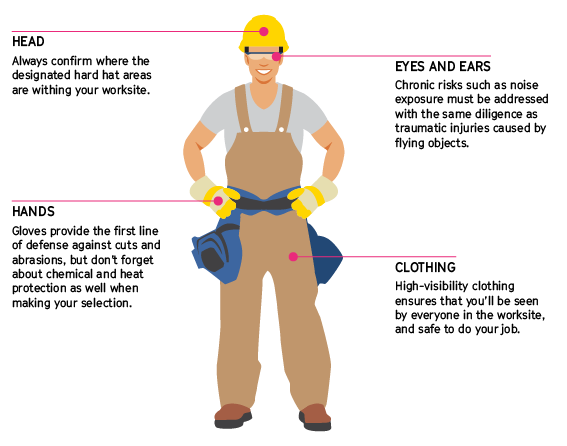 From the term itself, Personal Protective equipment is what employees wear to protect themselves from dangers the workplace might present. 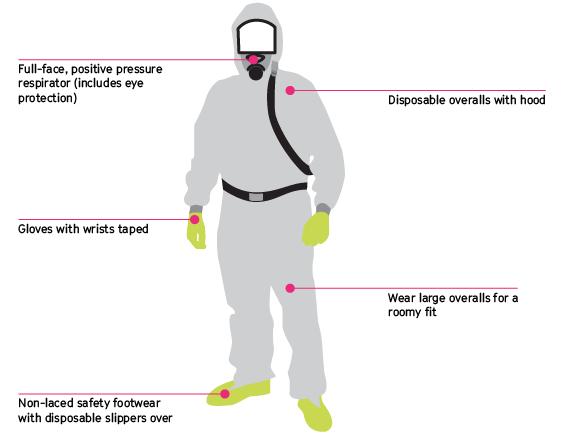 Common PPE practices can be seen in construction companies and companies that deal with chemicals. Aside from PPE as a control measure, there are also two other control measures to avoid hazards in the workplace. The first type is called “engineering control”, the application of engineering technology to control hazards like installing machine guards to the moving parts of the machine to avoid human contact. Other forms of engineering control are substitution and isolation. An example for substitution is to replace hazardous chemicals with less hazardous ones while separating hazardous processes falls under the isolation method of engineering control. The second type of control measure is called “administrative control”. This method aims to minimize the exposure of humans to workplace hazards and employees administrative approaches such as rotation and shifting. Good to know: Rule 1080 of the Occupational Safety and Health Standards requires employers to provide the appropriate personal protective equipment to workers. Furthermore, every employer shall at his/her expense furnish his/her workers with protective equipment whenever necessary by reason of the hazardous nature of the process or environment. To be continued in the next newsletter issue.